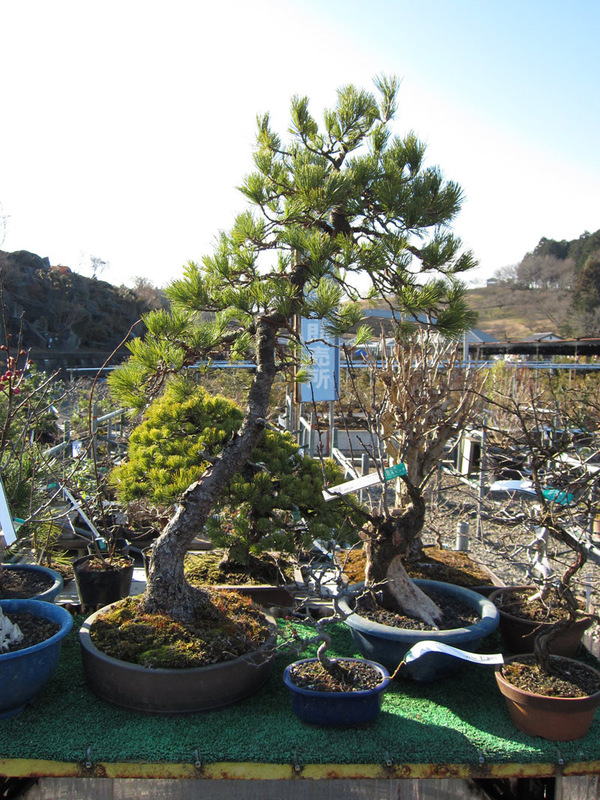 Even though my last trip to Japan’s purpose was to get married, i still managed to find some to visit some bonsai nurseries. 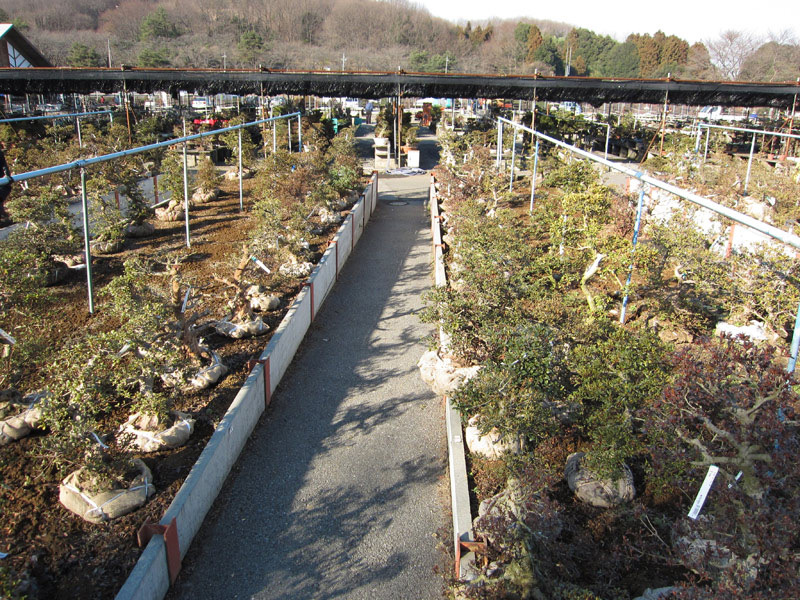 The nursery below was a little out of the ordinary from your normal Japanese nursery. 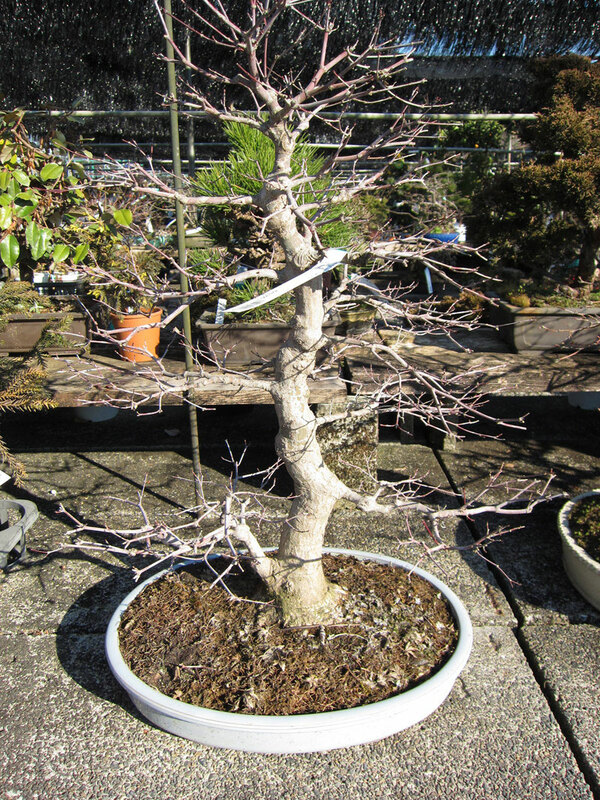 For those familiar with the nurseries of Omiya and other well-known growers would be used to the high level of immaculately maintained and presented bonsai. I am sure many of you who have been to japan and experienced this for them selves would be aware of the overwhelming feeling you get when you are exposed to so many high quality trees in one place. These places are obviously the top end of the business. Their trees grace the many shows around Japan that exhibit these high level trees and in my opinion cement the Japanese at the top of the bonsai pile. 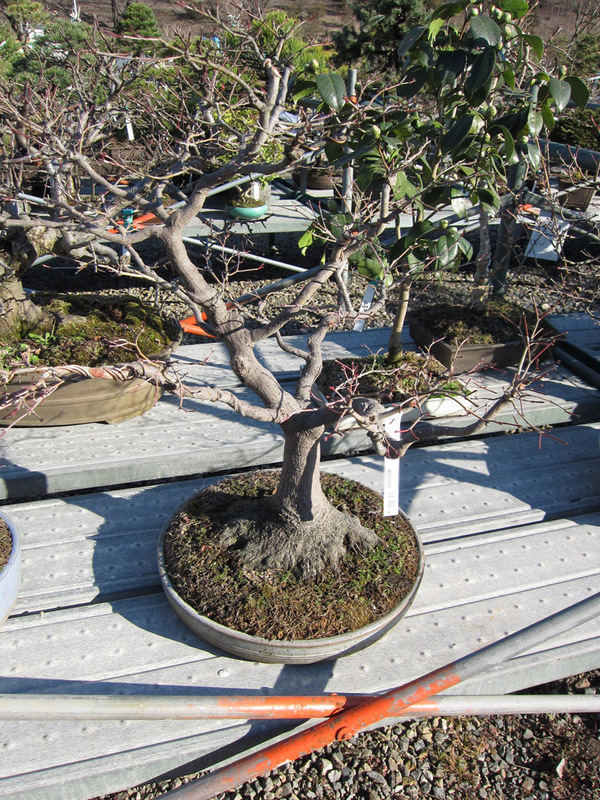 But surely not all of Japan’s bonsai are show ready and of the best quality. Which brings me to this post. 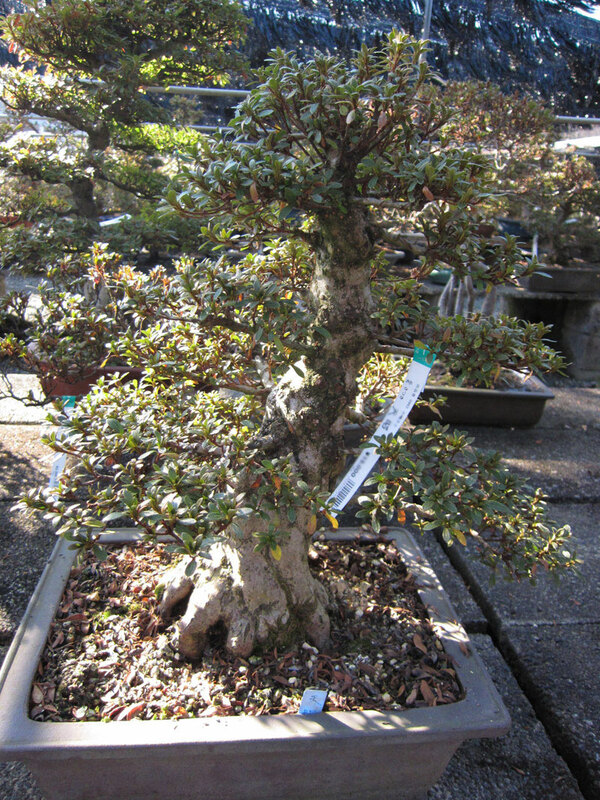 My last trip I was taken to a place where there was no doubt, a huge range of bonsai. There were magnificent trees on display but, they were the minority. 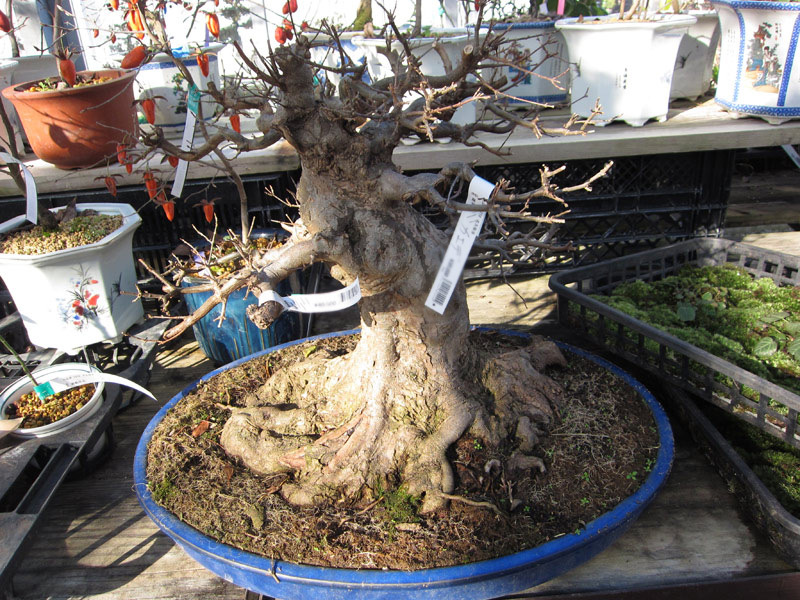 For the most part the bonsai for sale were project trees. Trees with problems in one way or another. Trees that would benefit from an air layer, a branch or two removed or a restyle. I spent a good amount of time here looking over the many benches, admiring potential. It was nice to be able to see trees that were waiting for the hobby grower with some vision to come along and place their mark upon them. 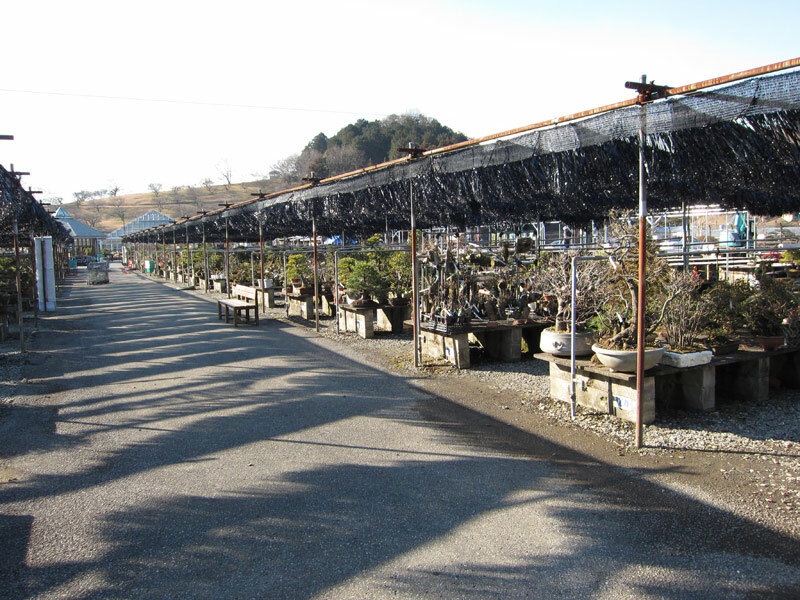 I would love to live near a nursery such as this. On the surface it is not as impressive as the higher end nurseries but it is budding with potential for someone who likes to work on their own trees. A small selection of photos are below. Some of the more developed pines. One side of the benches. There is an equal number of benches to the left. This seasons Satsuki dug and ready for sale. A pine in need of some refinement. A maple with a nice base. Great beginnings for someone willing to do the branch work. A trindent with a whole lot of problems i would love to inherit. A modest maple that would have plenty of potential. 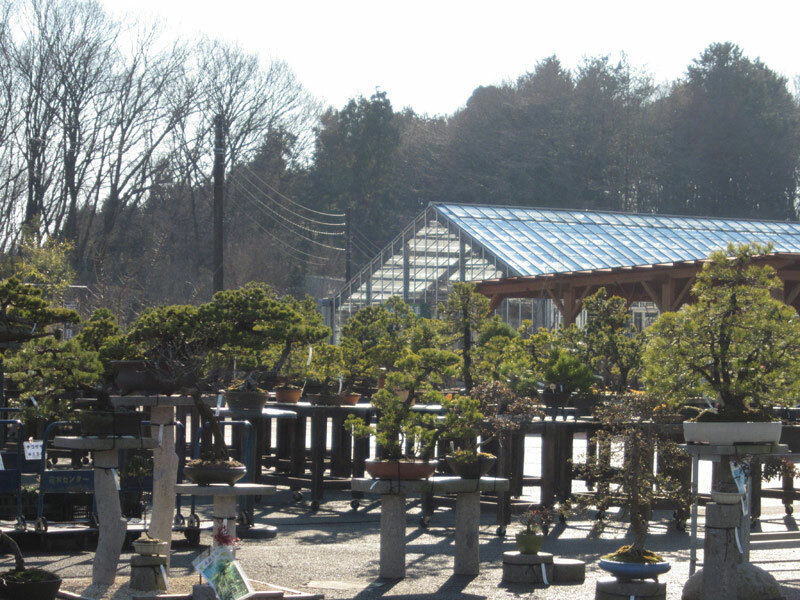 Kanuma garden centre is not going to be first on the list when it comes to a Japanese bonsai pilgrimage, and may not even make second, third or fourth place, but for someone who has seen all the big sights and wants a bit more insight into what is out there in Japan it is worth a look.